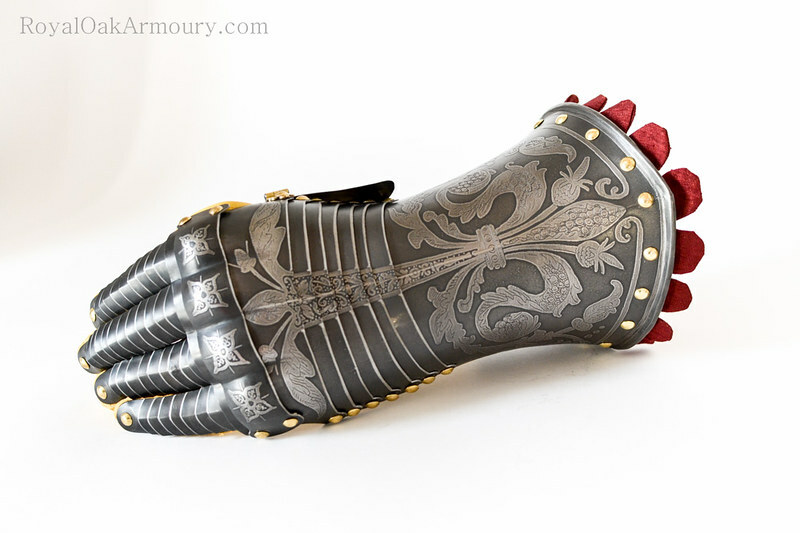 These were a serious change of gears after working a lot of ancient projects recently - a pair of decorated, late 16th C German-style gauntlets. The functionality and attention to detail in armour of this period makes it pretty time-consuming, but satisfying to reproduce. They will be followed by a bridle gauntlet and a gorget with matching decoration. I hope you like them - they were a pleasure to build! For those interested, more pictures can be found on my Flickr and Facebook pages. Ah, they look great! The color contrast is spot on. Next step--full or 3/4 harness? Like I said elsewhere, these turned out gorgeous. I am as curious as Kai is about what exactly they're supposed to match with? Even a half-harness with the same attention to detail would be bordering the most complicated and detailed reproduction armour I've come across... Cheers! Wow those are gorgeous Jeff! Every piece of yours is a work of art. Cant wait for my Sugarloaf!! I am curious about the whole armor. 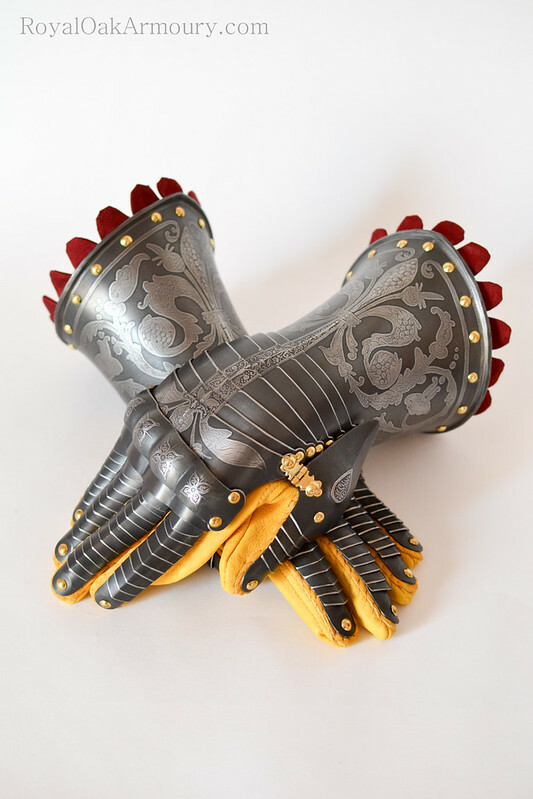 I don't think there is going to be a harness to accompany these gauntlets, though if you were all to sign a petition, I would be happy to send it to my patron. ;-) I do have a matching gorget and bridle gauntlet in the works, and I will post them here as they are finished. Jeffrey beautiful work on the Royal Oak Armoury.